Anmeldung über: The event is open to the public. Please register via mail. This conference examines the question of space in the context of traditional, new, and contemporary circus through the lens of semiotics. Fields such as Liminal Spaces, Theories of Place and Space, Borders and Border Crossing, Performing in and Mapping Space, and Transnational Spaces may also be considered. 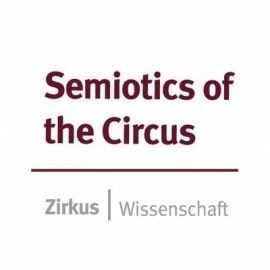 Its aim is to deepen the knowledge obtained at the previous conference “Semiotics of the Circus” (2015), which was organized by the research project Zirkus|Wissenschaft at the University of Münster, Germany. The event is open to the public. Please register via mail.